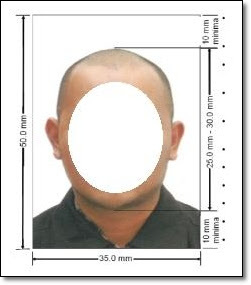 With effective from 22 April 2013, the applicants who wish to apply for New Malaysia Passport (Polycarbonate) shall submit a passport photo with new specifications. This means all passport pictures no longer requires a blue background!!! But fortunately, Puduraya has two photo shops, one near the entrance that leads you out to the LRT Station and another just outside the immigration office on the second floor. RM12 for four pieces. 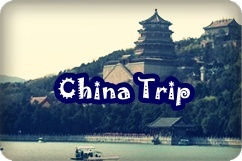 You'll need to fill in a small form and bring a copy of your IC for passport renewal. Prices for the passport are still the same. RM100 - 2 years and RM300 for 5 years. You can collect your passport on the same day! Easy-peazy! Jard, kalau renew hari sabtu or ahad, boleh collect on the same day kah? Or kene collect on weekdays jugak? longer hours on weekend compared to penang one. Igt nk maximise passport pny due date, so, I submitted for renewal online on Thursday[and leaving to Cambodia next Wednesday], with the blue background photo [sebab dalam website imi x ckp pn kena white background]. Sampai imigresen cawangan Kelana Jaya on Friday, nak collect, dia kata kena tukar gambar. But they close at 5 and masa tu dah petang [i pergi lepas balik dari court]. So next Monday, ambil gamba baru and bagi kat dia [without additional payment sebab dah byr online], dia kata tak boleh siap hari yg sama sebab ada prob ngan machine yg buat polycarbonate passport tu. I dah cuak sangat. Gladly the next day I call, diaorang kata dah ready. Kalau tak, burn la tiket. Haha. wohooo new one! i had mine expires next year on march..
@ khai.. syukurlah sempat.. hehehe.. at least now u got the new passport that enables u to go visa free to japan! @ zuan.. ahh.. mesti passport kamuh yg lama punya kan? hehehe. Disuruh edit pulak?Kenapa juga macam tu ye? it'll be next year till i renew mine. So, i'll just stick with the blue bckground. Do we need birth cert for passport renewal? Can I renew my passport n collect by Saturday?